I disagree, and regardless of the arguments about intelligence experience or the lack thereof, the Panetta choice is a good one, provided some other things go along with it. Some history is instructive. In 1976, Gerald Ford appointed George H.W. Bush as director of the CIA. Mr. Bush, an accomplished politician, didn’t have much intelligence experience either. Like Mr. Panetta, Mr. Bush had often been a “consumer” of intelligence, but – also like Mr. Panetta – was definitely not “an intelligence professional,” however one chooses to define the term. Mr. Bush was appointed CIA director – then called the “Director of Central Intelligence” (and with an arguably wider area of responsibility than the current post-Sept. 11, 2001, CIA director has) because of the turmoil the CIA and the other intelligence agencies were then going though. This was a result of the Watergate scandal that led to Richard Nixon’s resignation, the Church (Senate) and Pike (House) investigations that totally redefined the roles, missions and authorities of the various intelligence agencies while creating the two congressional intelligence oversight committees. Mr. Bush was a sound choice for the times because of his legislative experience (he had – like Mr. Panetta – served in the House) and because he was able to help navigate the CIA through perhaps its most troubled time in modern history. Outgoing CIA Director Michael V. Hayden told employees Friday that his designated successor could learn more from them than the other way around. “If confirmed by the Senate, he will learn from you about the CIA as it is now, starting with the decisive contributions you make each day to the strength and security of our country,” Mr. Hayden said of nominee Leon Panetta. President-elect Barack Obama officially announced Friday that Mr. Panetta was his choice to head the CIA and that retired Adm. Dennis Blair would be the director of national intelligence. John O. Brennan will be Mr. Obama’s homeland security adviser and deputy national security adviser for counterterrorism, a post with the title assistant to the president and which is not subject to Senate confirmation. The choice of Mr. Panetta, which was leaked to the press earlier this week, has caused some controversy because he lacks direct experience in the intelligence community. It provoked sharp criticism from senior Democrats, including the chairman of the Senate Select Committee on Intelligence, Dianne Feinstein, of California, who was not informed about the pick in advance. She later recanted her criticism after speaking with Mr. Panetta. Mr. Obama said during his announcement Friday, “We must seamlessly collect, analyze, share and act on information with a sense of urgency.” He said torture would not be an option, and intelligence agencies must not seek information “to suit any ideological agenda” — a slap at the Bush administration’s encouragement of the CIA and other intelligence organizations to seek information supporting the invasion of Iraq. Mr. Panetta is known primarily for his budget and managerial expertise. He served in the House from 1977 to 1993 but was not a member of the intelligence committee. From 1993 to 1994, he ran the Office of Management and Budget. He was White House chief of staff from 1994 to 1997. In 2006, he served on the bipartisan Iraq Study Group, which recommended major changes in U.S. policy toward Iraq and the Middle East. The announcement of the Panetta selection surprised many within the CIA who thought Mr. Hayden would be retained for a number of months and who said Mr. Hayden had boosted morale within the agency. According to intelligence officers, the attrition rate was nearly 6 percent when Mr. Hayden became director, and in the past two years it has dropped to 4.1 percent, the agency’s lowest rate on record. The rate of resignations is currently 1.8 percent, the officers said. Mr. Brennan, who was Mr. Obama’s campaign adviser on intelligence, was another candidate for head of the CIA but withdrew his name after some left-leaning bloggers accused him of complicity in crafting interrogation policies for detainees that critics say amounted to torture. In his new post, however, Mr. Brennan may have more influence over national security than he would have had as CIA chief. The 2004 Intelligence Reform and Terrorism Prevention Act made the agency subservient in many ways to the director of national intelligence for intelligence analysis. The primary role for the CIA today is its clandestine service, which recruits spies. But the Pentagon in recent years has stepped up both its intelligence gathering and “black” operation capabilities. While the power balance in the next administration is still to be determined, it’s likely that the national security council will wield more influence than it has under the Bush presidency, when national security advisers failed to reign in warring bureaucratic factions. 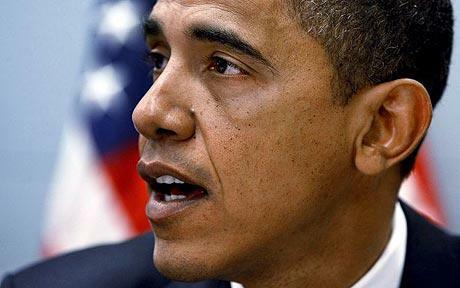 John Deutch, CIA director from 1995 to 1996, said it was important to look at Mr. Obama’s intelligence picks as a team. “You have Blair, Panetta and Brennan. They have a mixture of backgrounds and the mix is unusually strong,” Mr. Deutch said. President-elect Barack Obama will announce Friday that he is naming Leon Panetta as CIA director and Dennis Blair as director of national intelligence, two officials close to the transition told CNN Thursday. After a surprisingly heated reaction earlier this week to President-elect Barack Obama’s apparent selection of Leon Panetta as CIA director, California Sen. Dianne Feinstein and the would-be spy chief appear to have put the matter behind them. The appointment of Adm. Blair, following unprecedented reappointment of Bush administration Defense Secretary Robert Gates, is guaranteed to antagonize many on the political left, Mr. Obama’s initial national base of core support. There is also more general concern about military dominance of intelligence. During the Bush administration, appointment of Gen. Michael Hayden to head the CIA drew some sharp attacks. As with criticism of Mr. Panetta, this argument ignores history. The first four directors of the Central Intelligence Agency were all senior military officers: Rear Adm. Sidney Souers, Gen. Hoyt Vandenberg, Vice Adm. Roscoe Hillenkoetter, and Gen. Walter Bedell Smith. Smith, notably successful at CIA, had been chief of staff to Supreme Allied Commander Dwight Eisenhower during World War II. In retrospect, Ike and his team were remarkably effective in steering the United States through very turbulent Cold War years. Experience in the disciplined milieu of the military translated directly into success in the shadow scenery of the spy. In tandem, Adm. Blair and Mr. Panetta may be an ideal team to bring effective policy change grounded in essential competence. 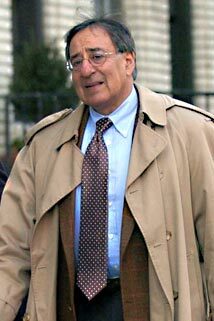 Leon Panetta is a good consumer of intelligence. More than a few commentators have said that, based upon Panetta’s experiece as Bill Clinton’s White House Chief of Staff. But I love food and have no hopes of ever running a farm, grocery or restaurant. I just don’t have the training, expereince and know-how. While Barack Obama praised Mr. Panetta for his managerial skills, I thought to myself: neither one of these guys knows a thing about the intelligence world. Or groceries. I can imagine explaining some difficult CIA operation to the new boss, and stopping every sentence to explain to him what we are doing and why. So, in the midst of two wars and a very troubled world, your CIA will be scheduling a lot of “tutorial” time for their new boss. Or bosses. So what kind of “consumer” was Mr. Panetta during the Clinton years? While Mr. Panetta was consuming intelligence, U.S. embassies in Africa were bombed, the USS Cole was blown up, and many other harbingers of 9-11 were overlooked, misread or not fully appreciated. Many senior, experieced intelligence profressionals have expressed dismay to us and others at the Panetta pick…. This is just not the time to learn this dificult business, many believe….. There are, I suspect, quite a few jobs in government for which having no experience is not a liability. But few would list CIA director among them. Which is why Barack Obama‘s pick of Leon Panetta is causing so much consternation. A former congressman, Mr. Panetta, 70, served as budget director and then as chief of staff in the Clinton administration. But he’s never spent a day in the intelligence community. The outgoing chairman of the Senate Select Committee on Intelligence, Sen. Jay Rockefeller (D-WVa), and the incoming chairman, Sen. Dianne Feinstein (D-CA), are cool to the choice. Both Ms. Feinstein and Mr. Rockefeller had recommended deputy director Steven Kappes. Mr. Obama originally had planned to tap John Brennan, who was head of the National Counterterrorism Center at the time of his retirement in 2005. But the rumored appointment ignited a storm of protest from left wingers who opposed the coercive interrogation techniques the CIA used on some high level al Qaida prisoners. “The fact that I was not involved in the decision-making process for any of these controversial policies and actions has been ignored,” Mr. Brennan said in a Nov. 26 letter withdrawing his name. By yielding to Mr. Brennan’s critics, Mr. Obama made it all but impossible to pick anyone who held a senior position in the intelligence community during the Bush administration, which may be why Mr. Kappes was passed over. If you think it dangerous, at a time when we are engaged in two wars, to have a novice at the CIA, then you’re likely appalled by the Panetta nomination. But if you think of the CIA as a rogue, dysfunctional agency that needs to be reined in, you may think Mr. Obama’s choice is inspired. Many of those worried about Mr. Panetta have an outdated view of the importance of the CIA. After 9/11 a huge new layer of bureaucracy was imposed on the intelligence community. This was mostly stupid, because there was too much bureaucracy already. But it made the CIA much less important. Most of the intelligence we gather is collected by the National Security Agency, through its electronic eavesdropping, and by the satellite photos taken by the National Geospatial Intelligence Agency. The CIA essentially got out of the HUMINT (human intelligence) business when the Clinton administration slashed its budget in the early 1990s. Most of such little intelligence as the CIA now gathers comes from interrogation of prisoners. But most prisoner interrogations are done by the military. The CIA does still have its analysis branch, which has missed most of the major developments of the last 20 years. And analysis work has been migrating to the various multi-agency intelligence centers established after 9/11. The real head cheese is the Director of National Intelligence. For DNI, Mr. Obama has selected retired Admiral Dennis Blair. He’s a former commander of Pacific Command and a former associate director of the CIA, a Rhodes scholar who once water-skied behind the destroyer he was commanding. Admiral Blair doesn’t need Mr. Panetta’s advice on intelligence matters. Because I think the CIA requires wholesale reform, I think better of the Panetta nomination than most other commentators do. But I have two huge concerns. It was Mr. Panetta, as President Clinton’s budget director, who gutted our HUMINT capability. And Mr. Panetta’s eagerness to define anything that makes terrorists uncomfortable as “torture” means we’ll be getting precious little information from future interrogations. Mr. Obama is taking a big chance. If there is a successful terrorist attack on the U.S. during his watch, this is the appointment that will doom his presidency. You are currently browsing the archives for the Panetta category.